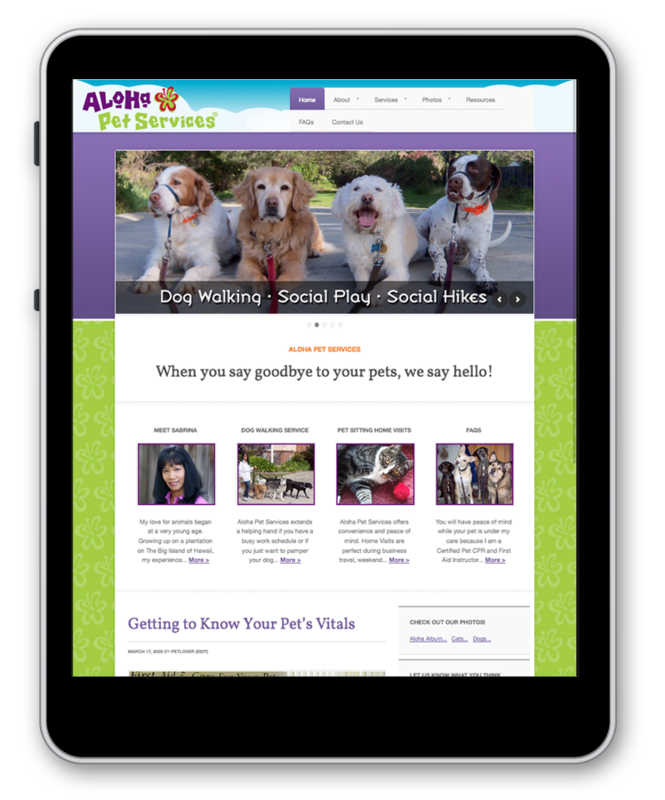 Website for this entrepreneur located in the San Francisco Bay area, who provides dog walking and pet sitting services. 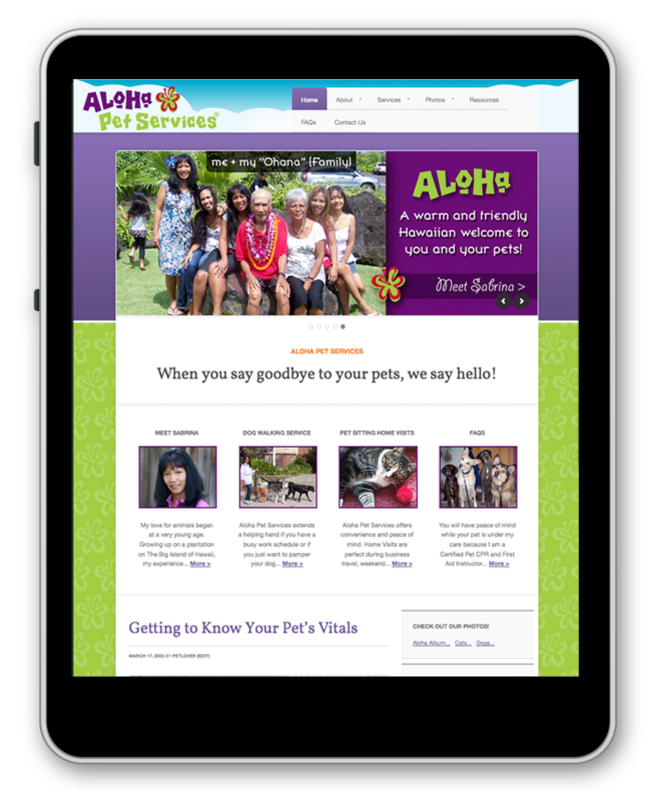 With a name like Aloha Pet Services, all collateral has a fun, friendly, whimsical feel with tropical colors. Sabrina happily celebrated 13 years in business in 2016. View logo design and circular business card design project.